Let’s hope it doesn’t get too windy! 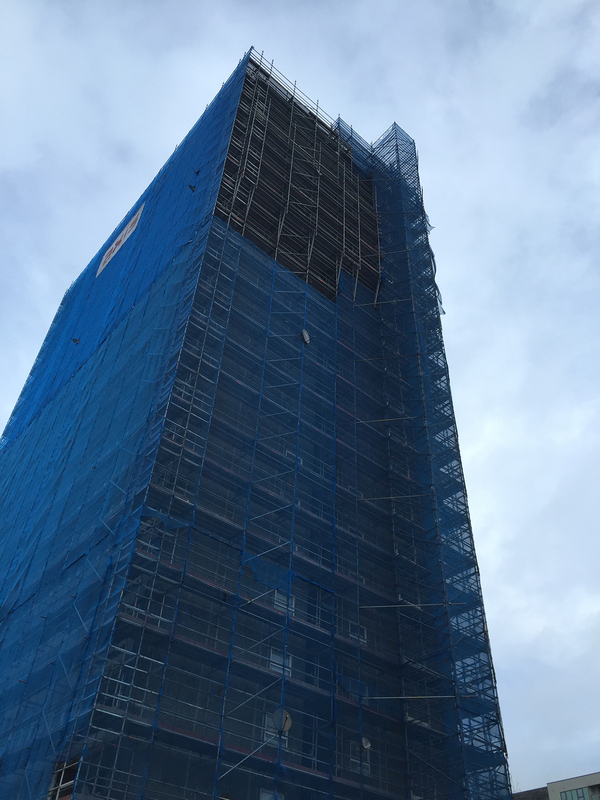 Falcon Structural Repairs have been appointed by the main contractors working on this 21 floor tower block refurbishment project in Bow, East London. We are to install a combination of 385no 1300mm long 20mm diameter Cintec and resin grouted anchors into the floor structure of the top six floors in order to restrain the precast cladding panels before the whole block is covered in an external insulated cladding system by others. Due to the nature of construction, wet diamond core drilling must be kept to a minimum to prevent disturbance to the residents of the block. Lets hope it doesn’t get to windy.